Shopping for Powerpuff Girls Pop! Vinyl Figures? Suger, spice, everything nice…and a pinch of Funko! From the popular cartoon The Powerpuff Girls, comes this Pop! Vinyl figure of Bubbles. 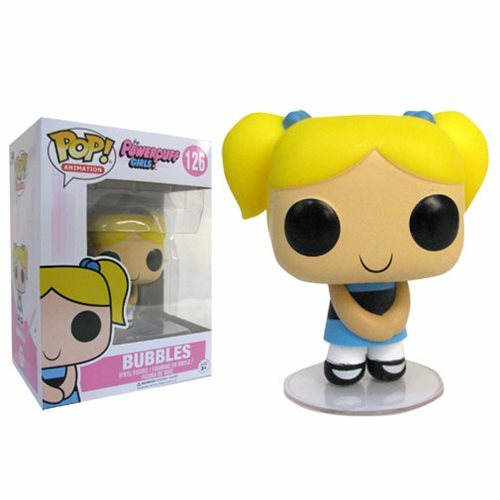 Packaged in a window display box, the Powerpuff Girls Bubbles Pop! Vinyl Figure measures approximately 3 3/4-inches tall. Ages 3 and up.